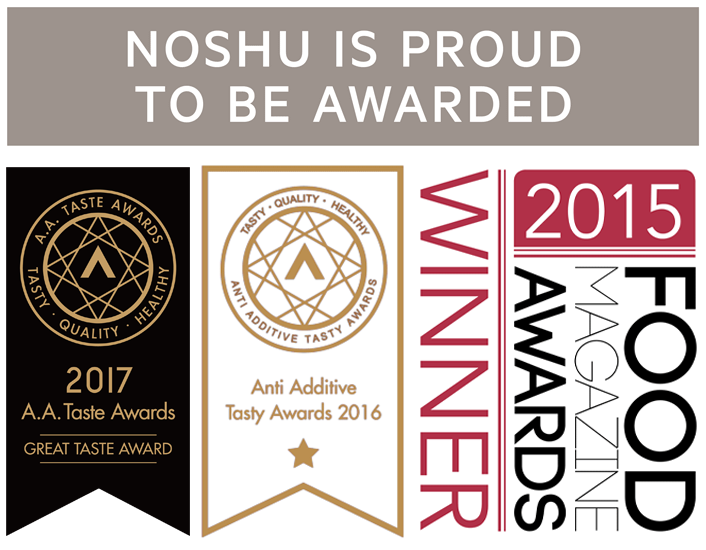 Noshu 99% Sugar Free Cake Mixes can also be used to make indulgent cupcakes – the perfect sugar free, delicious treat for your next kids party or special occasion. We have prepared an easy step by step guide you can follow to make sure your cupcakes look and taste amazing, every time. Preheat the oven to 140°C (130°C if fan forced). Adjust your oven shelf to be set to the middle height. Line a cupcake pan with the correctly sized patty liners to fit. If you are using a mini cupcake pan, use minicupcake patty liners with the same base diamteter. If you are using a 12 cup muffin / cupcake pan, prepare two, or if you only have one, bake the cupcake in two batches. No oil spray is necessary. 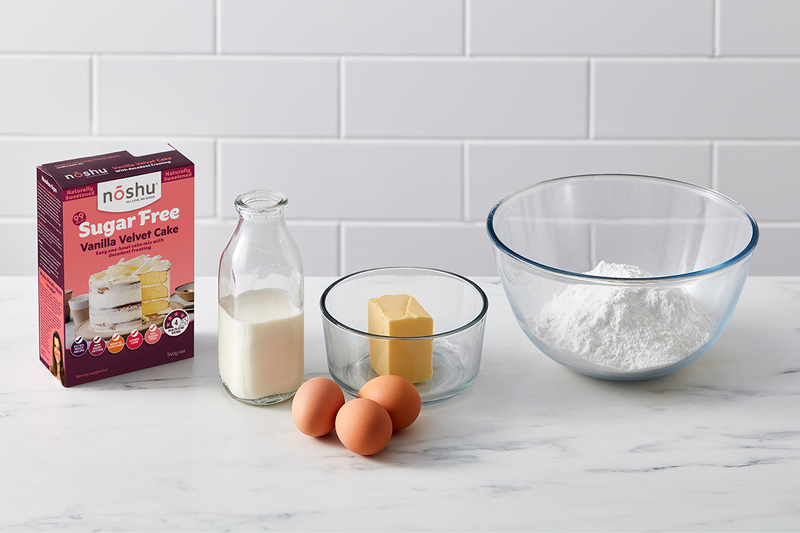 Empty the cake mix sachet into a large bowl. Gather and weigh or measure your wet ingredients. You will need 3 whole XL (59g) eggs, 1 cup (250ml) of milk, and 120g (81/2 metric level tbsp) of melted butter. For a non-dairy option, replace the butter with Nuttelex, and the milk with water. Add the eggs, milk and then butter to the cake mix bowl. Using an electric handheld or stand mixer, beat the mixture for 2 minutes in total on medium speed. Pause at 60 seconds to scrape down the sides of the bowl. Once the mixture is smooth, glossy, and uniform in texture, deposit the batter into your prepared cupcake tin using an ice cream scoop or spoon. Fill each cup to just less than 3/4 full so you have enough to make 24, and when the cupcake bakes it does not rise and spill over the top of the tin. Once your oven has reached temperature, place the tin on the middle rack and bake for 20 minutes. Place a skewer into the centre of a cupcake all the way down to the base of the tin to check it has cooked. The skewer should come out clean with no sticky crumbs or batter attached to it. If you do not have a skewer you can use a thin knife, or a bamboo kebab stick. If your cupcakes need longer, test it at 3-5 minute intervals from here until they are cooked through. Cupcakes should come out of the oven when ‘just cooked’ and only lightly coloured on top to ensure they are as light and moist as possible. Once your skewer comes out clean, remove the cupcake pan from the oven and place on a wire rack to cool. Turn off the oven and let the cupcakes sit in the tin on the wire rack until the tin is cool to touch. 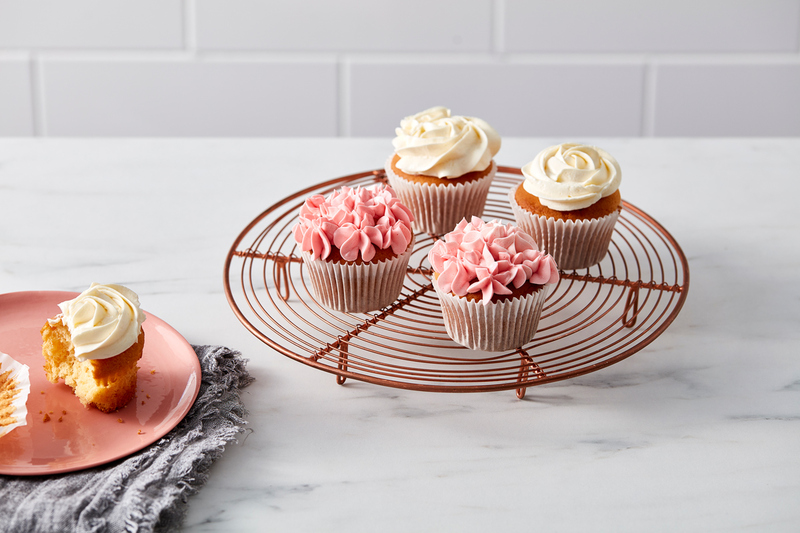 Once cool, remove the cupcakes and place on a flat surface or wire rack to cool further. Empty the frosting mix from the sachet into small, deep and round mixing bowl. Add 70g of Nuttelex or butter. If you are using butter make sure this is at room temperature. You should be able to press your finger slightly into the butter and make an imprint. If you are using Nuttelex, use it straight out of the fridge. If using butter: using either a spoon or a fork, mash the frosting mix powder and softened (not melted) butter with the warm milk together till combined. When the powder is no longer loose you can begin mixing and no powder will be lost or fly out of the bowl. If using Nuttelex: using Nuttelex straight out of the fridge, using either a spoon or a fork, mash the frosting mix powder together with the Nuttelex till combined. When the powder is no longer loose you can begin mixing and no powder will be lost or fly out of the bowl. Now with your handheld electric mixer or stand mixer beat the mix on medium-high for a full 5 minutes, at 60-second intervals to scrape the sides and incorporate any remaining frosting mix. At the end of 5 minutes your frosting should appear whipped, pale, smooth, and creamy. Transfer the frosting mix to a piping bag to decorate the cupcakes easily. If you do not have a piping bag, you can use a heavier weight plastic bag and simply cut a small corner off the edge of the bag and squeeze out the frosting as required. Note: You can easily add natural food colourings to create different colour variations for decorating. If you wish to add colours, mix this into the frosting before transferring to a piping bag. Do not begin decorating your cupcakes until they have cooled completely. Pipe a design of your choice on each cupcake or spread the frosting over the cupcake tops with the flat edge of a knife. Please note that you will use 3 times the volume of frosting if piping your decoration, compared to spreading it with a knife so keep this in mind if you want to ensure all your cupcakes have ample frosting.